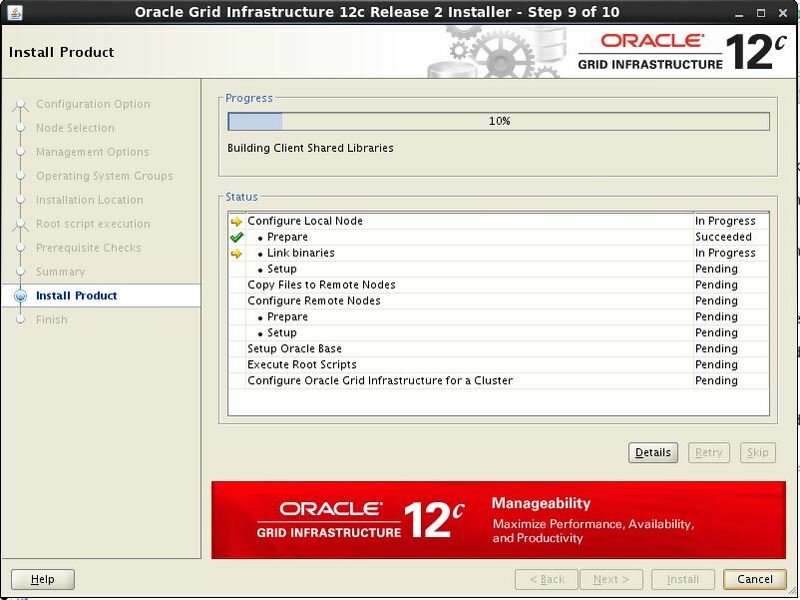 Here I would be discussing how to upgrade Oracle 11gR2 (11.2.0.4) Grid Infrastructure to Oracle 12cR2 (12.2.0.1) on the same server. 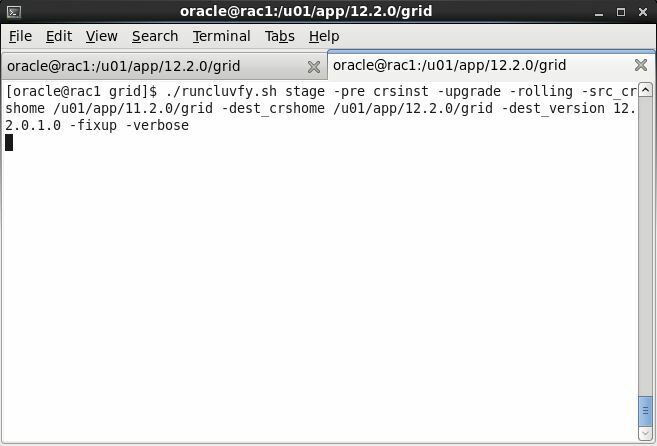 This upgrade process was done on Linux 6 (x86_64). 1. 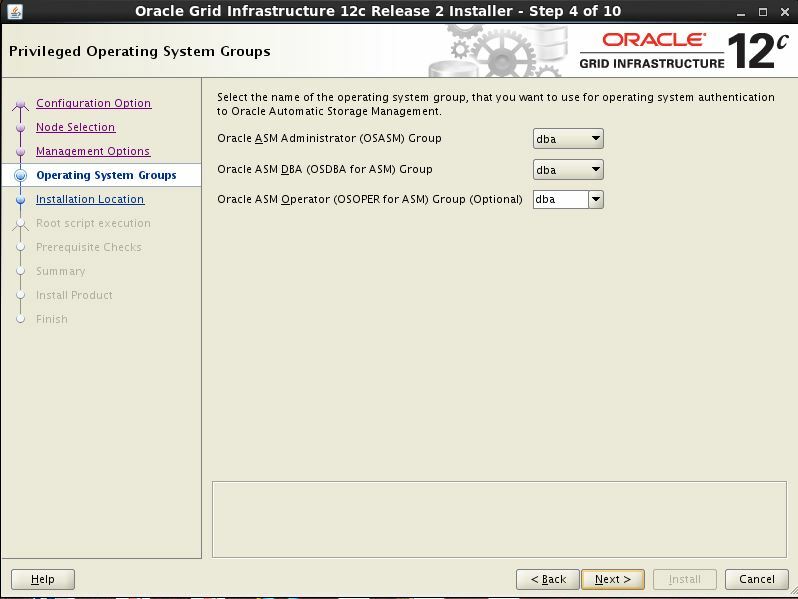 Before the GI upgrade backup the OCR manually. 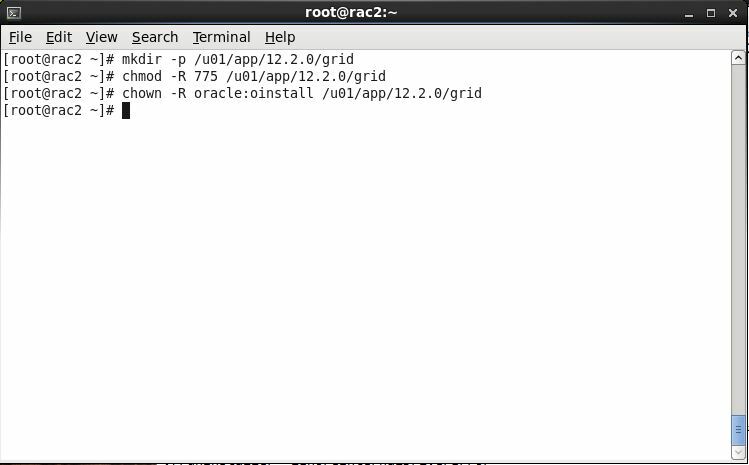 This could be used in downgrading the GI from 12.2.0.1 to 11.2.0.4 later one. 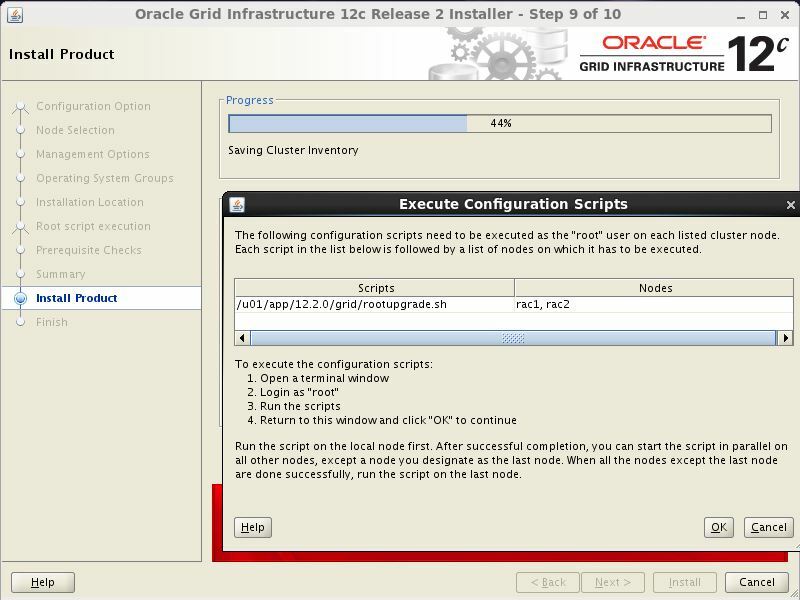 If you want to know how we install database to 12cr2 click here. 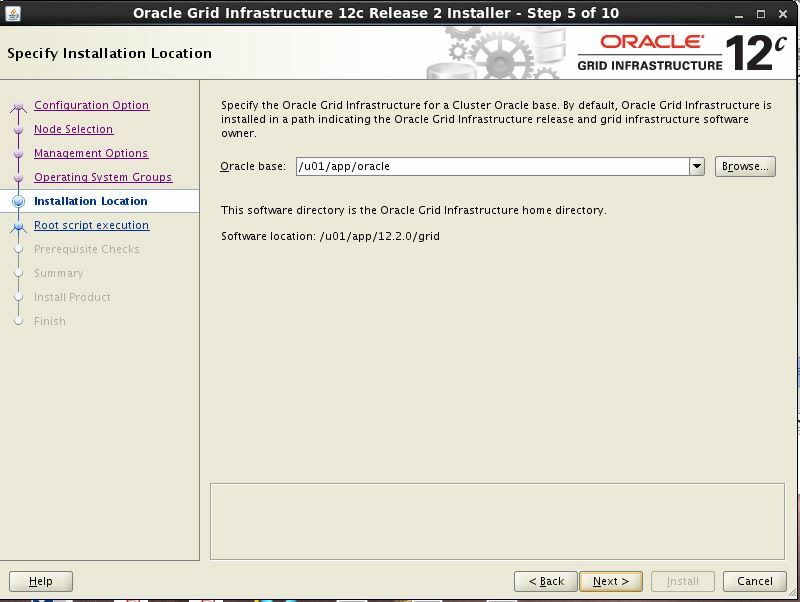 2.Download the Oracle Grid Infrastructure image file , create the Grid home directory, and extract the image files in this Grid home directory. 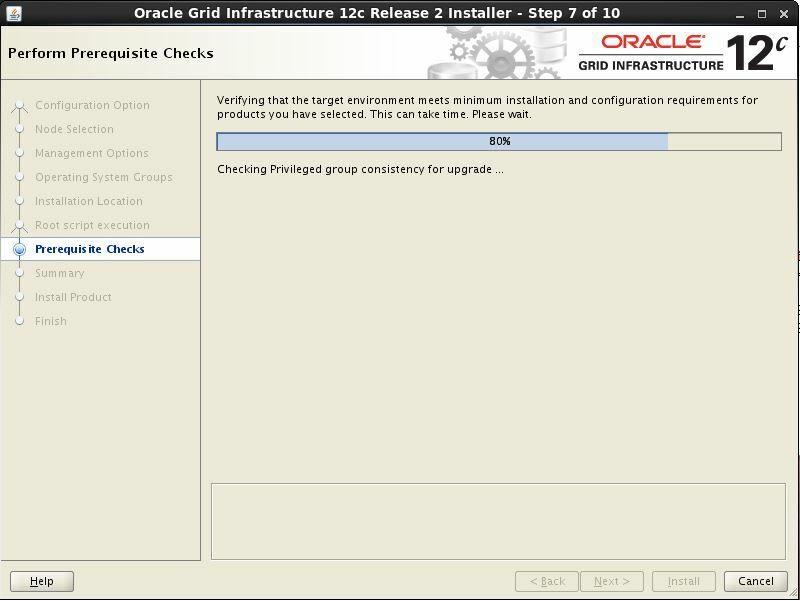 While pre-checking I found there was some prerequisites missing. 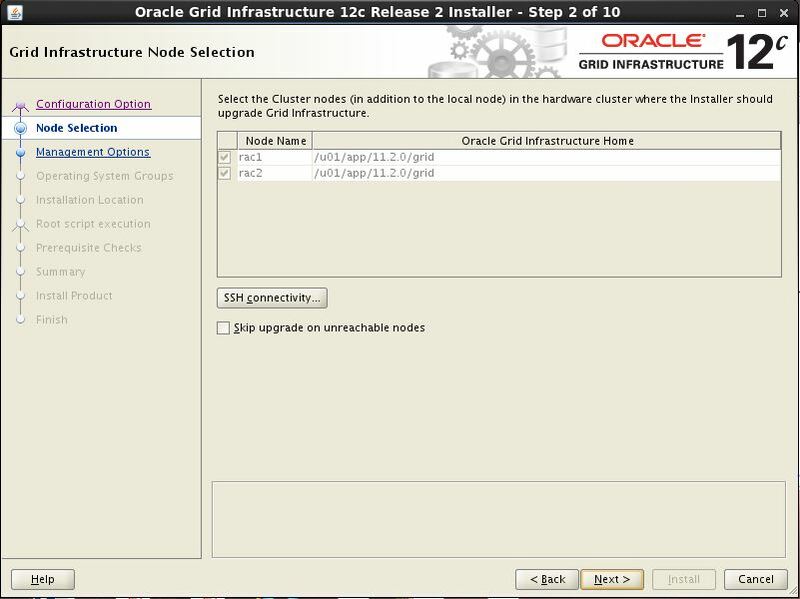 a) In 12cr2, we need 8GB of RAM per node, as I have my test lab, so I will gone to ignore this. 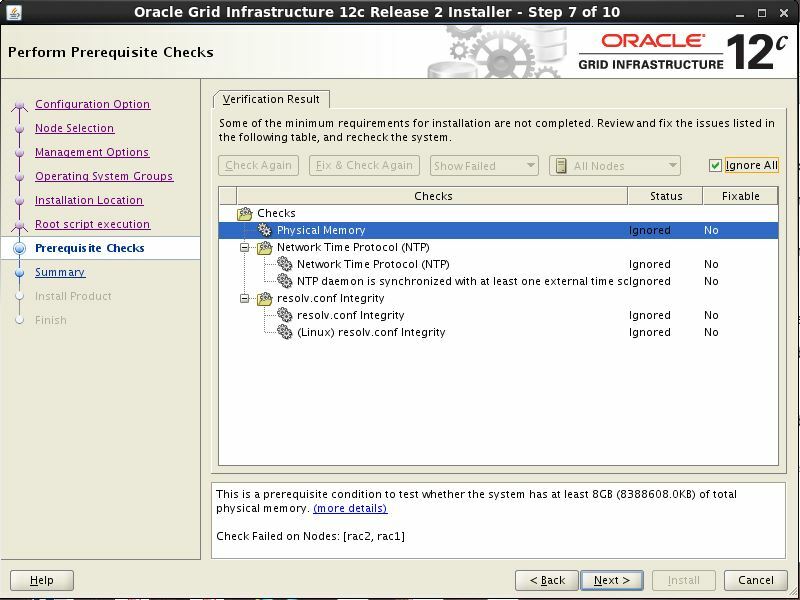 b) There was a bug on NTP (PRVG-13602) confirmed by support with bug number (24314803) but unfortunately this bug fix is not release, they confirmed to ignore this and go further. 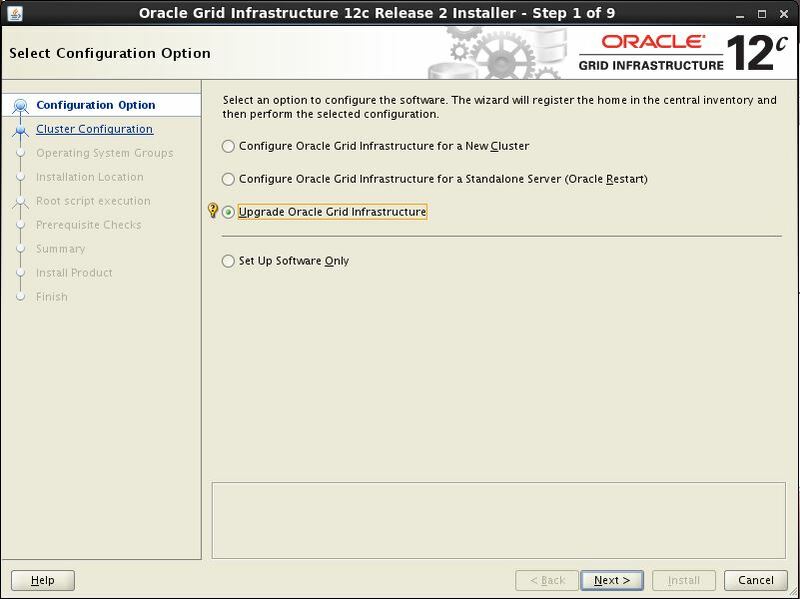 c) There is must be July 2016 PSU or later installed before proceed for upgrading. 5. 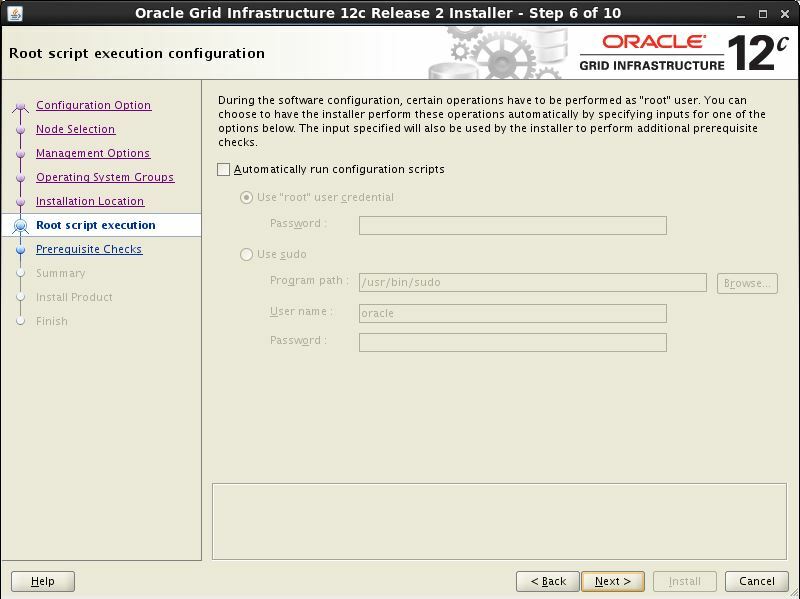 Run the installer and select upgrade GI to continue the upgrade on OUI. 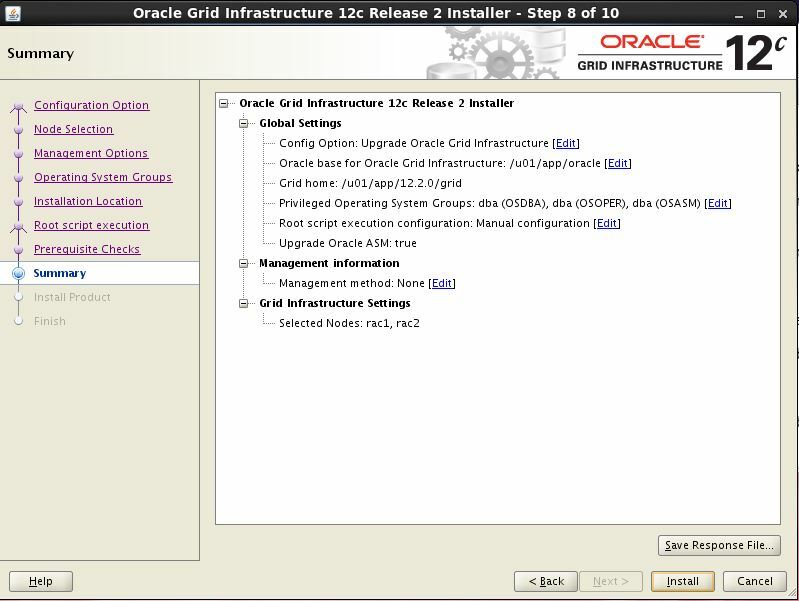 Starting with Oracle Grid Infrastructure 12c Release 2 (12.2), the Oracle Grid Infrastructure software is available as an image file for download and installation. 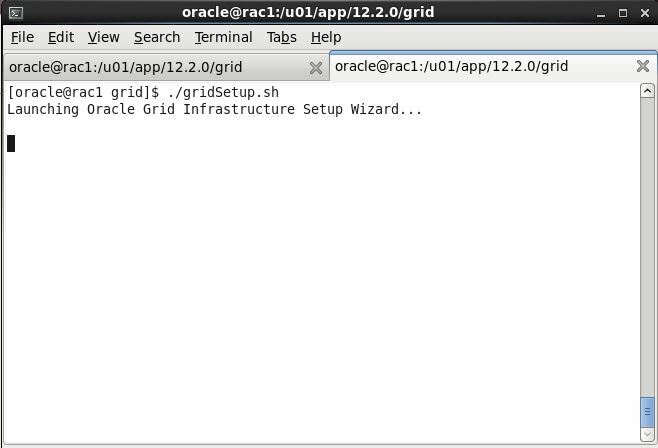 You must extract the image software into the directory where you want your Grid home to be located, and then run the gridSetup.sh script to start the Oracle Grid Infrastructure installation. 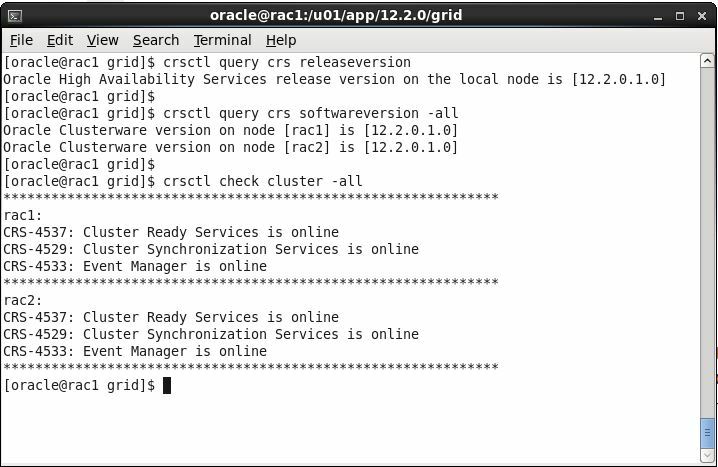 Note: we need to create same directory on the both the nodes so that remote operations will successfully completed. 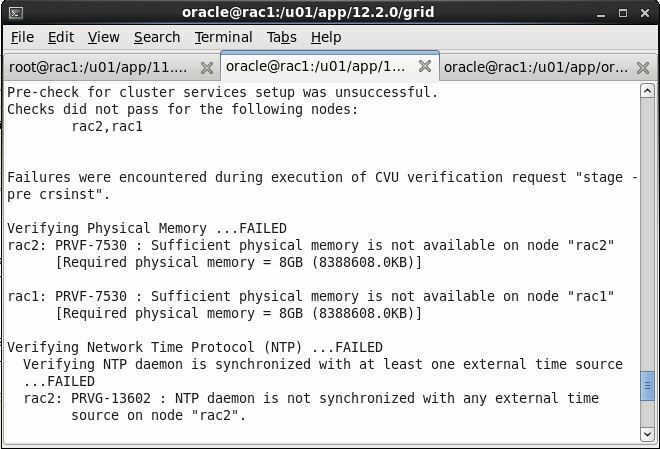 As I told earlier we can ignore NTP related issues. 6. 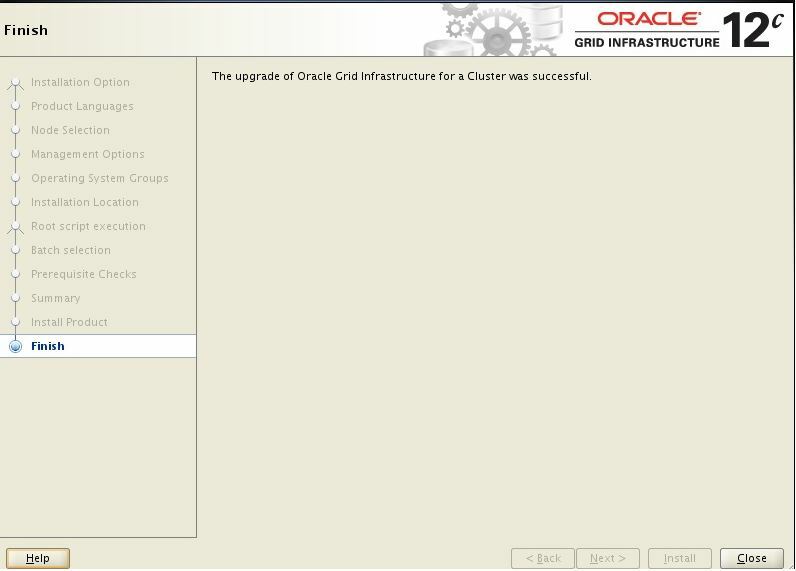 After upgrade we can status of software version and CRS. As we completed the upgrade from 11204 to 12201. Hi, thanks for the great article. Is this upgrade rolling or non-rolling? Thanks. 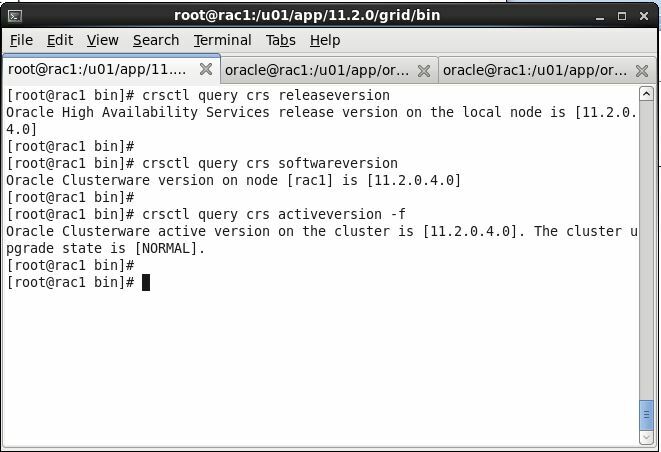 Can you also publish command line upgrade steps of Rac database with grid upgrade. You article is very perfect and easy to understand .Great job doing . 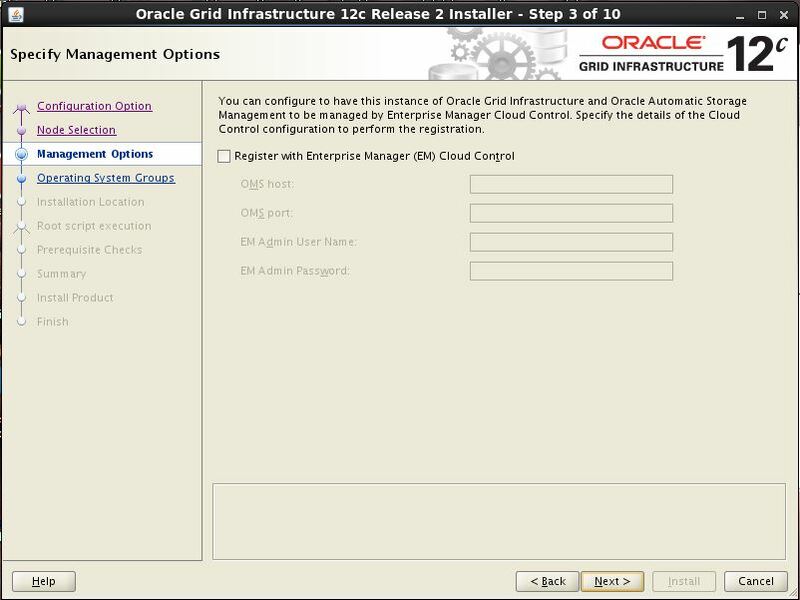 That mean you have no downtime for database running on the cluster? Thanks for steps and details! If you have any article related to that please share.